These bands require a minimum order of 10 per size. They are not available in all sizes. All bands are imprinted with the AFA logo. A customized code consisting of two to four letters and up to four sequenced numbers can be specified. These bands can also be printed with the year and your state if desired. The letter code will be recorded to prevent issuing duplicate coding to anyone else. These bands are traceable to the breeder. Any inquiries regarding the origin of a band will be forwarded to the registered code owner. It will then be the responsibility of the code owner to contact the inquirer. 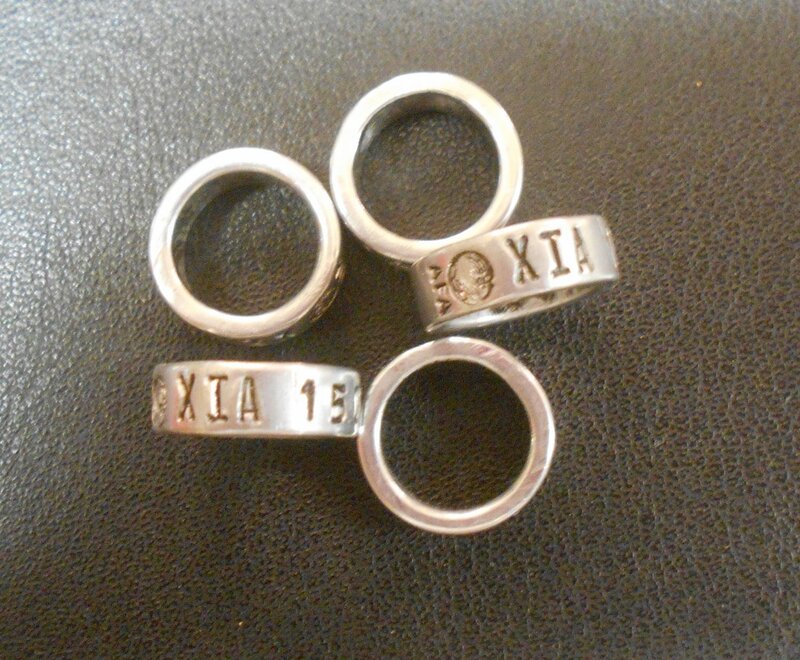 These bands are available in silver only.